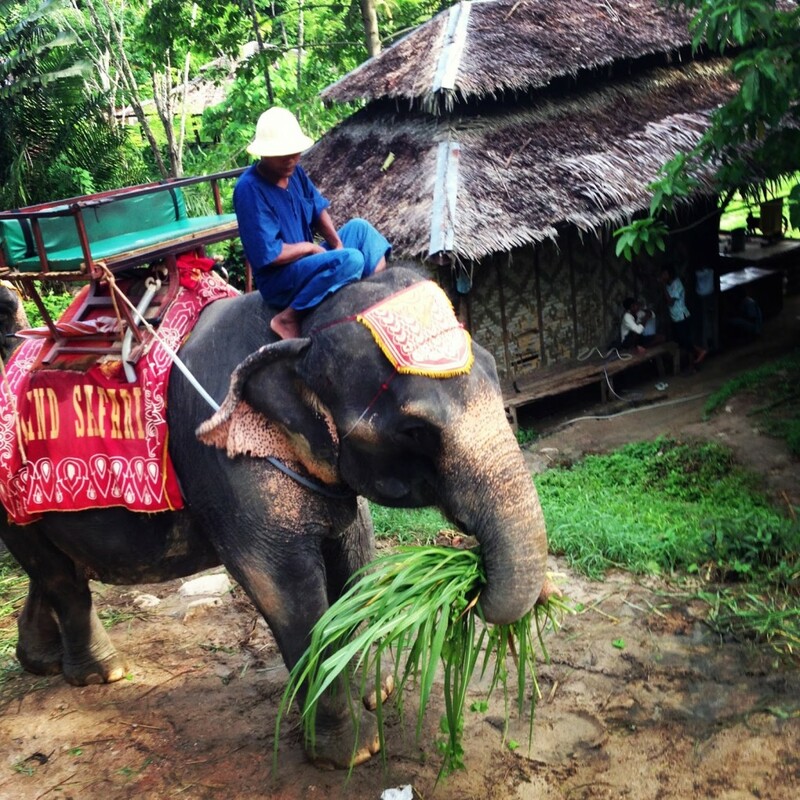 Dreaming of a beach getaway in Asia? 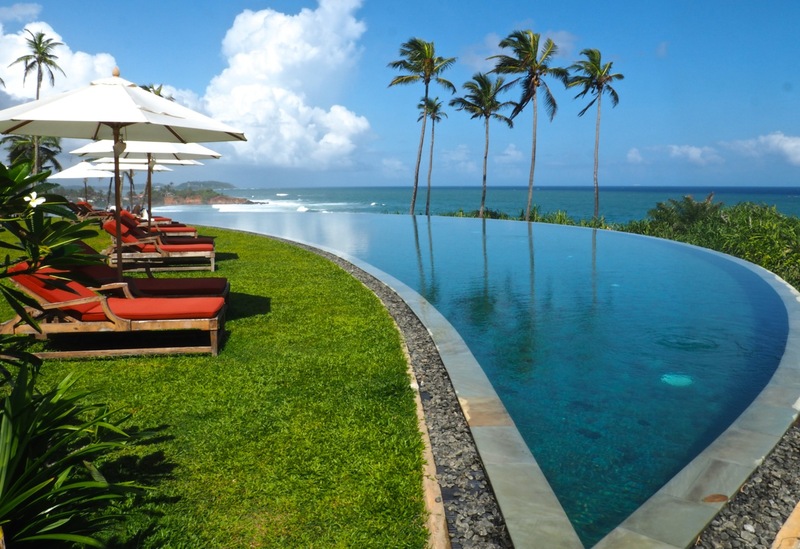 Looking for a perfect Sri Lankan Beach Resort to spend your holiday? 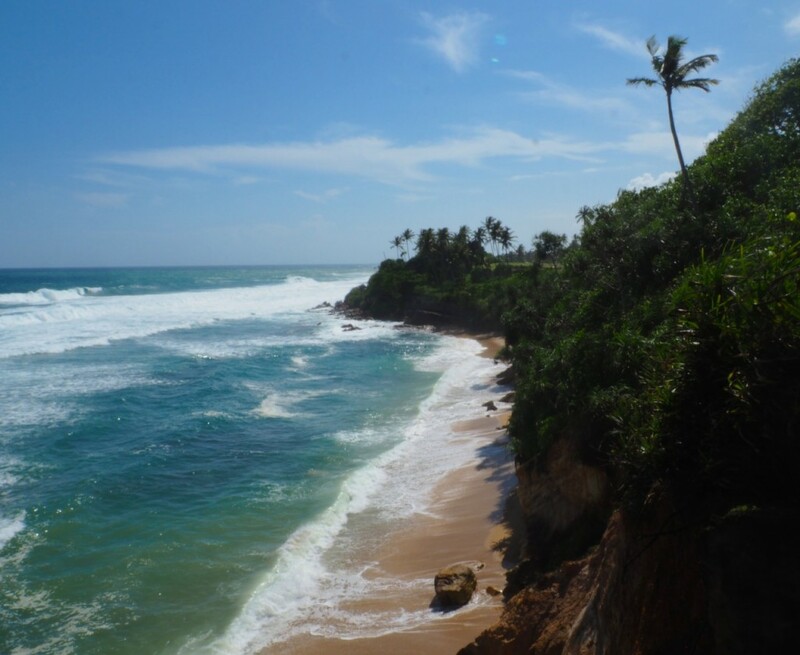 Sri Lanka has many wild and untouched coastlines and beaches. Futhermore there’re a vast array of sights, natural beauty and activities in case you want to leave your sun bed. High on the cliffs of Weligama on the Southern Coast of Sri Lanka lies Cape Weligama, part of Resplendent Ceylon (Resort Trails& Residences) -a collection of small luxury resorts offering the upscale traveler a variety of unique experiences linked to Sri Lanka’s history, culture and nature. From the Dutch heritage city Galle, it was only a short drive of half an hour along the coast to reach Weligama. Here you find a perfect blend of fishing towns and international beach resorts. 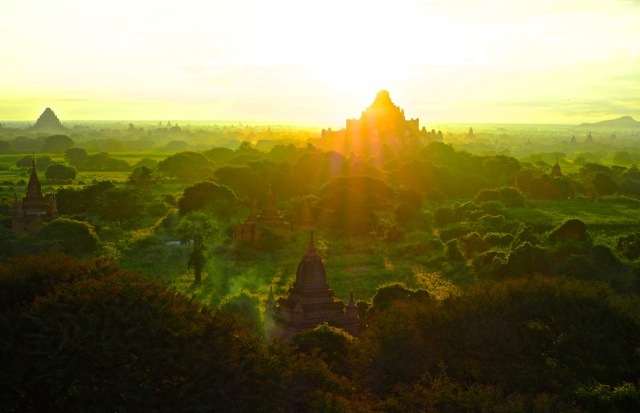 Visitors to this area not only get the chance to enjoy the beautiful surroundings, but to get in touch with local culture. Our tuk tuk driver drove a little bit outside of the town of Weligama on a winding, steep street up to the gates of Cape Weligama. As you enter the resort grounds you can already feel the atmosphere of calmness that they created. We received a warm welcome by the staff. While we got to sit down in the comfortable reception area and enjoyed some refreshments: ice cream and cold tea, someone took care of the check-in process. I made a mistake with my booking, however that was no problem. 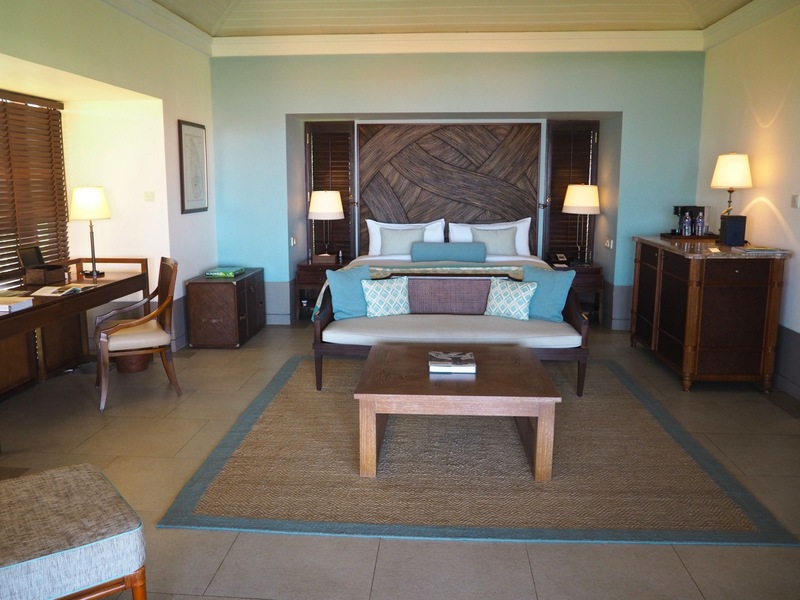 The staff handled it professionally and made sure that our villa was ready in no time. There was nothing in our way for a few relaxing days ahead. After we were checked in, we got picked up by our butler in a golf buggy, who was going to take us around the resort for a quick overview. The beach resort is spread over 12 acres of well-manicured land. The highlight of the resort grounds is their 60-metres crescent-shaped infinity pool that looks like it has become one with the ocean. 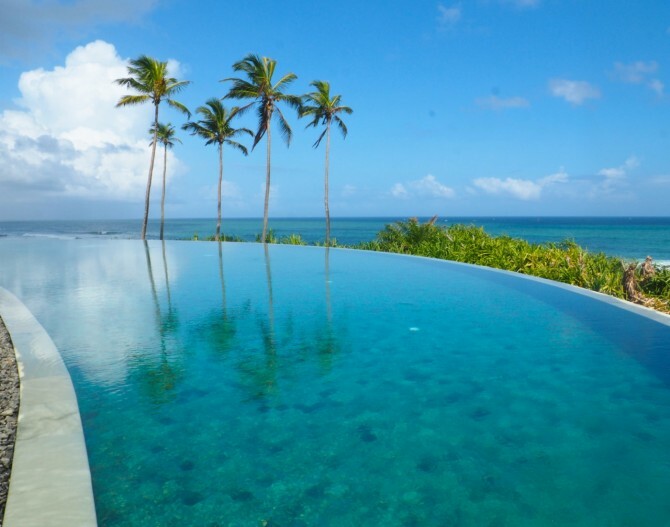 Since their opening in October 2014, they have received recognition in publication around the world for their spectacular infinity pool offering a 260-degree coastal view. As you climb down a few steps next to the pool, you come by the pool bar and a well-equipped gym that offers the newest in fitness. Just a few meters from their you reach the viewpoint. 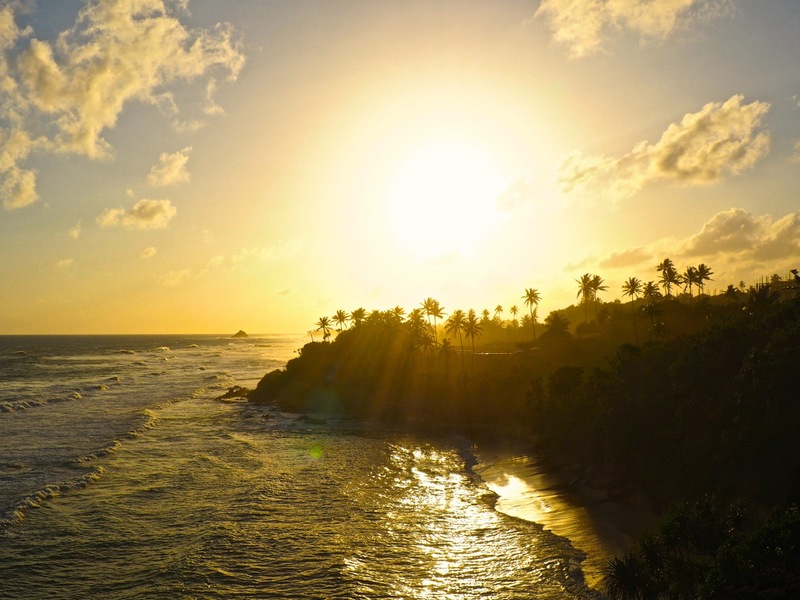 This is the perfect photo spot to capture the stunning natural beauty of Sri Lanka. Here we also ended the day with a drink and watched the sun set. Another pool area is close to the Master bedrooms including a 20 meters lap-pool and a pool ideal for kids. Two beautiful, secluded public beaches can be reached via staircase. As they aren’t very busy, you can truly relax there, swim in the water or try out some water sports. 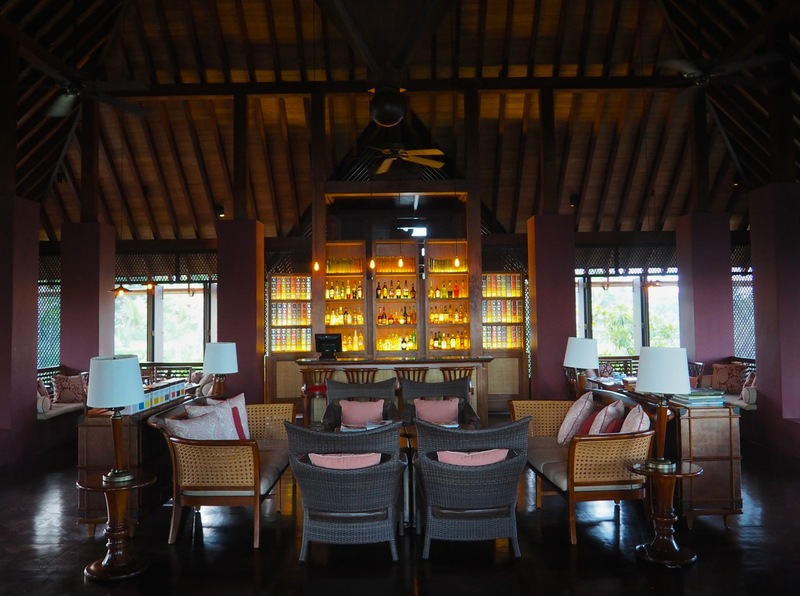 The resort consists of a collection of private residences and suites sized from 130 m2 to 310 m2, offering 39 bedrooms in all, each named after a distinguished writer or explorer. 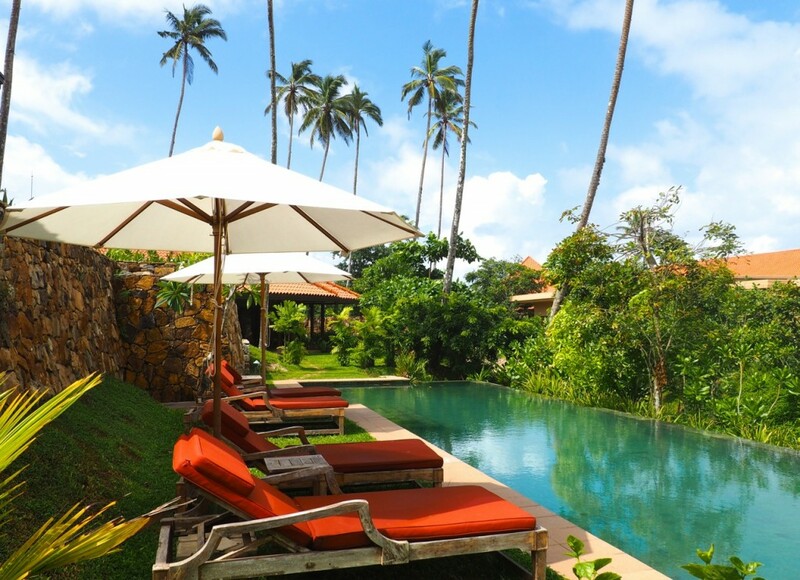 The accommodation is built to create the illusion of a traditional Sri Lankan village. We stayed in a luxurious, private villa that was surrounded by a lush garden and we had a 15m private infinity pool right at our doorstep. 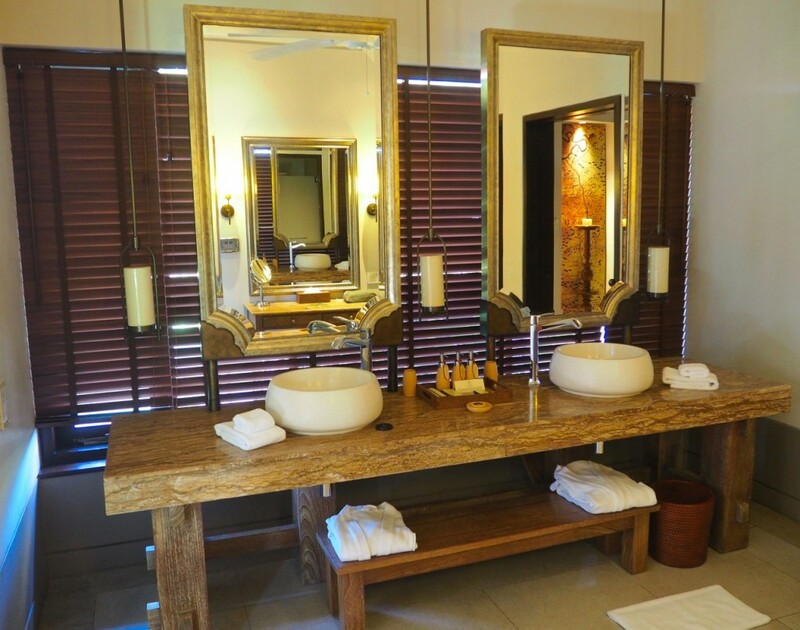 As you walk in the spacious villa you will realize the stylish, modern interior mixed with Sri Lankan elements. 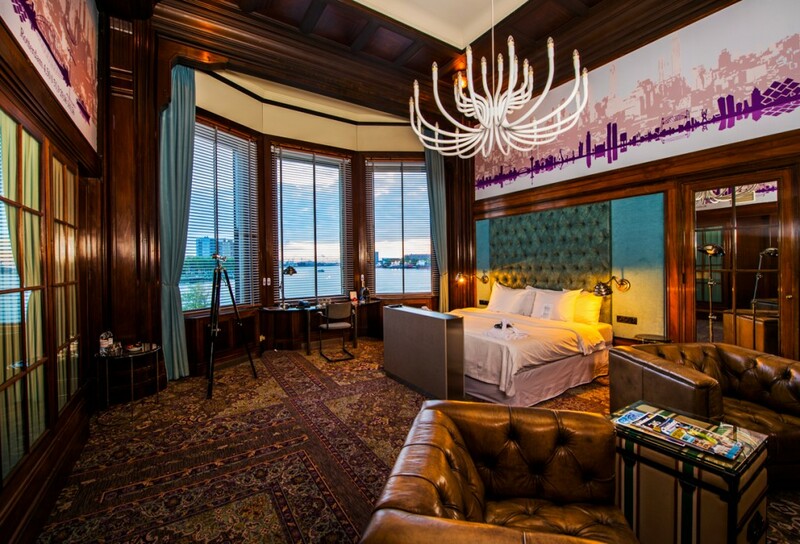 The bedroom features a comfortable queen size bed, TV, Sono wireless audio with a large music library, free movies on demand, complimentary mini bar. 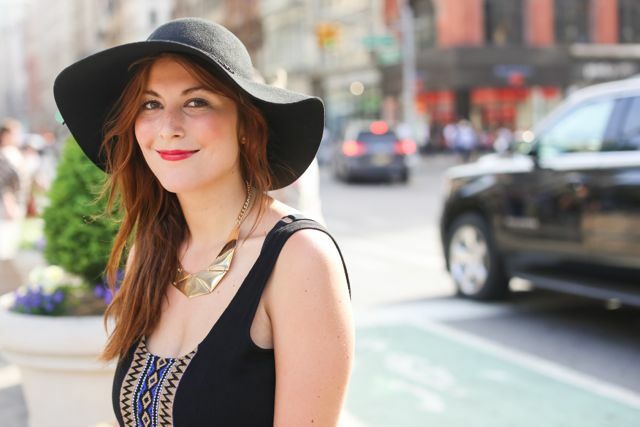 There is a separate walk-in wardrobe. Isn’t that every girls dream? 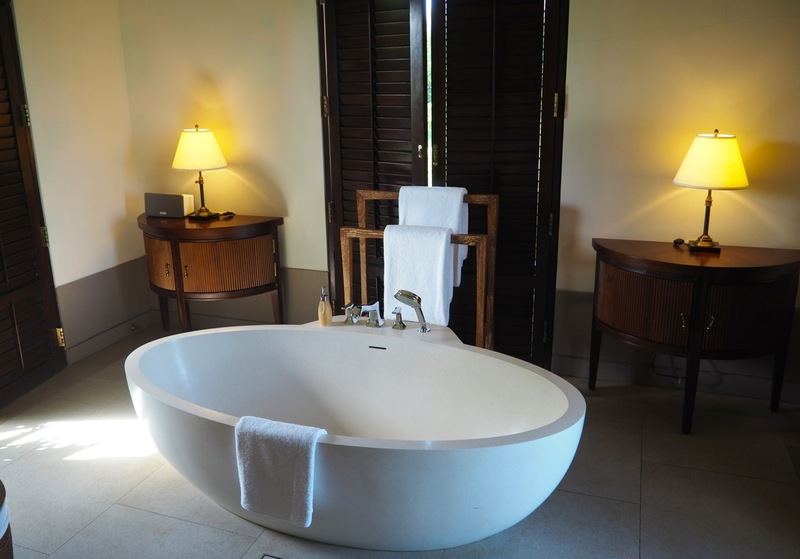 And in the bath room you will find a free standing bath tub, rain shower and steam bath and luxuiorus bathroom amenities. All accommodations enjoy butler service. 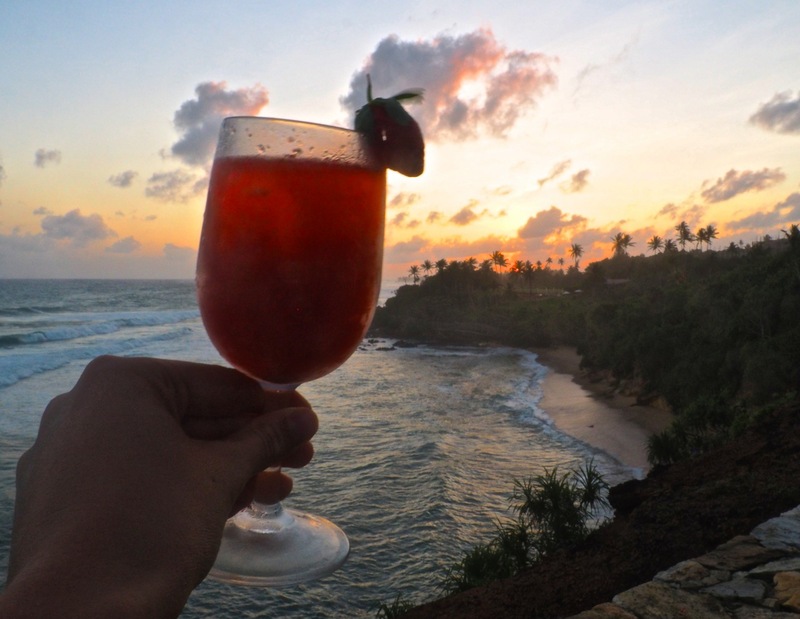 Cape Weligama is heaven for foodies. It features an array of international dining venues that feature East to West Menus. 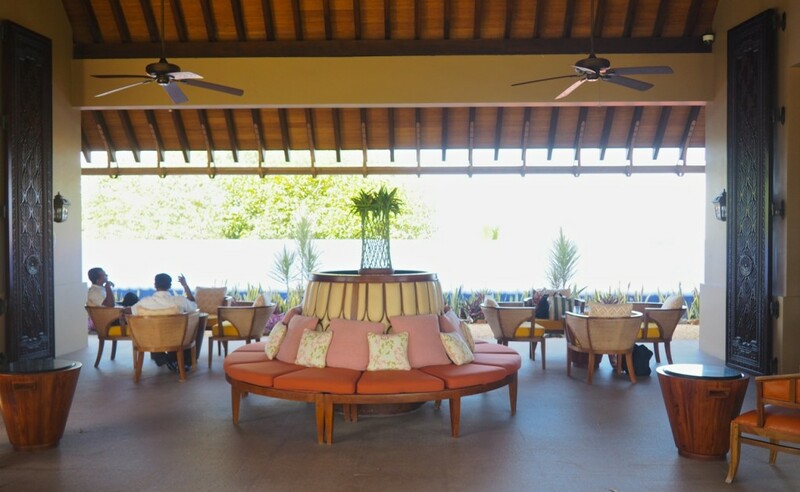 Rouge is their steak house and grill, traditional Sri Lankan cuisine can be enjoyed at Kumbuk for example. In the morning guest have to option to have breakfast in the main restaurant or order in-room breakfast. 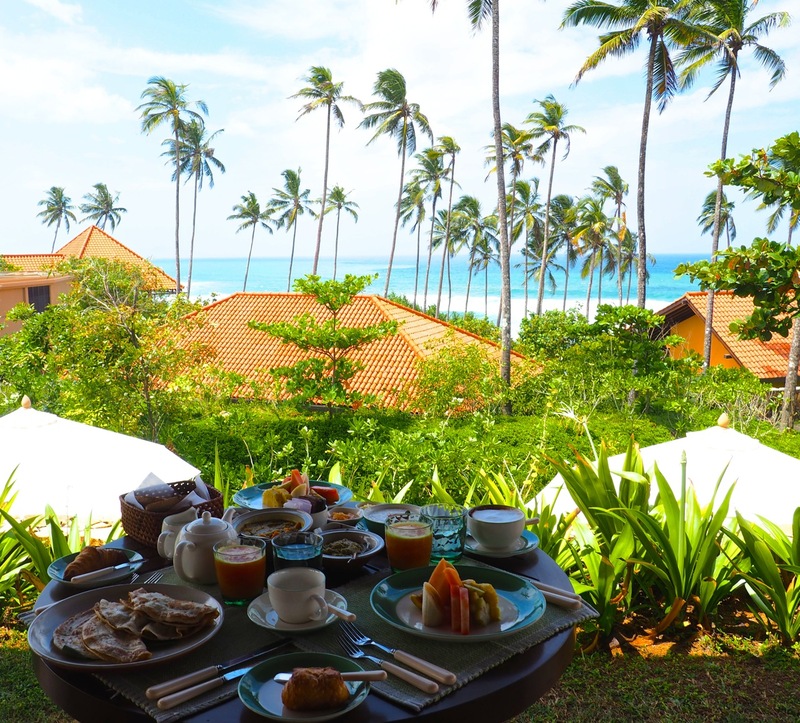 We loved our terrace and the panoramic view that we had from our villa over the garden and the ocean and decided that we would love to start the day with a big breakfast there. From the breakfast menu a lot of delicious things can be chosen. 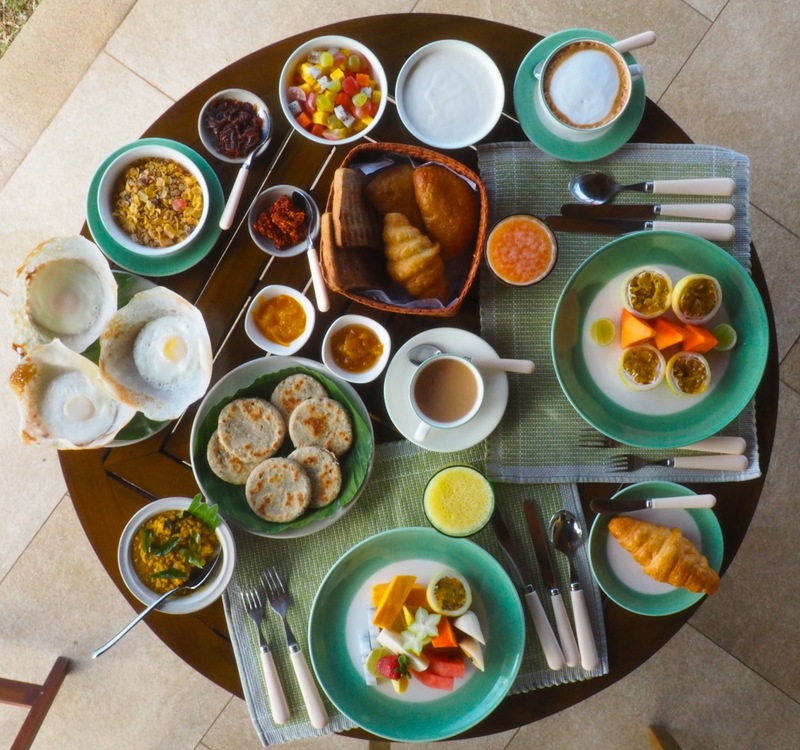 Of course you will find fruit, omelet or pancakes on there, but also Sri Lankan dishes like dhaal, curry or egg hoppers. We ordered the breakfast in the evening and in the morning when we got up, the table outside was already set up for us. 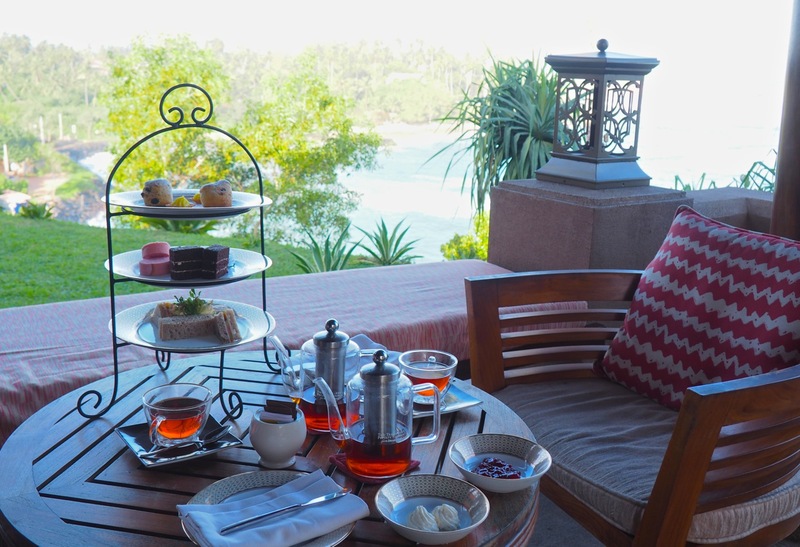 A special experience is the afternoon high-tea in the Taylor Pavillion, a relaxed but refunded venue overlooking the Indian Ocean. Sri Lanka is world-famous for their fantastic tea. We tried a different tea every day and they were all so good. Due to renovation we didn’t get to try the themed restaurants, but the á la carte dinner was mouthwatering. I can recommend you to try the sea food or the authentic Sri Lankan dishes and don’t hesitate to talk to the chef if you have any special wishes. We were keen in learning how to make curry and he happily offered to show us. 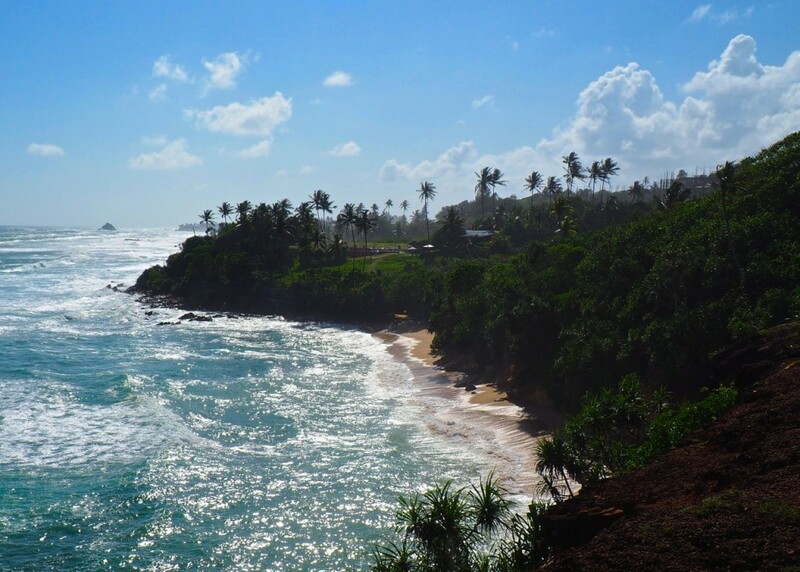 Weligama or southern Sri Lanka’s southern coastline in general offers a lot of varied things to do. 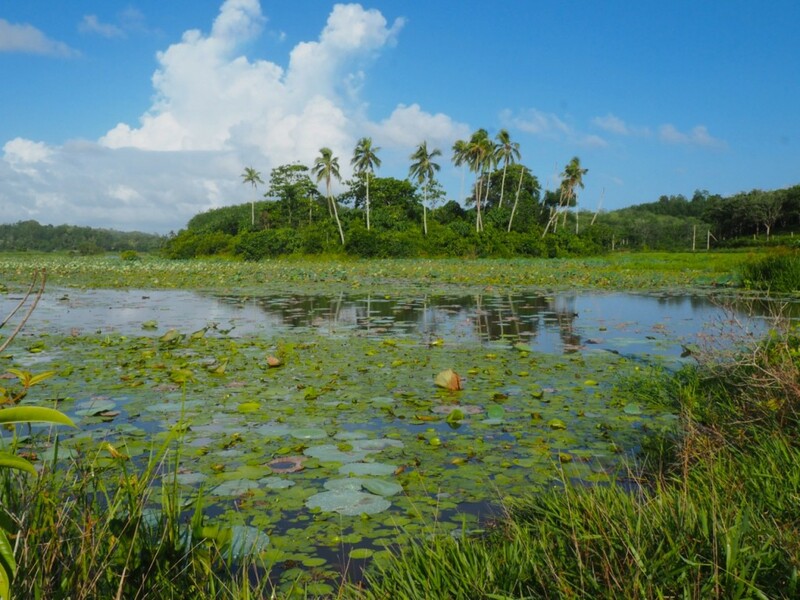 Here you can experience a perfect mix between beach, rural hinterland and culture. The resorts sport centre offers many activities like surfing, stand up paddling, snorkeling and even a wide range of PADI dive courses. Just drop by and borrow some equipment or ask for lessons by the experienced, international staff. Boat trips and excursions can also be arranged to the surrounding areas. 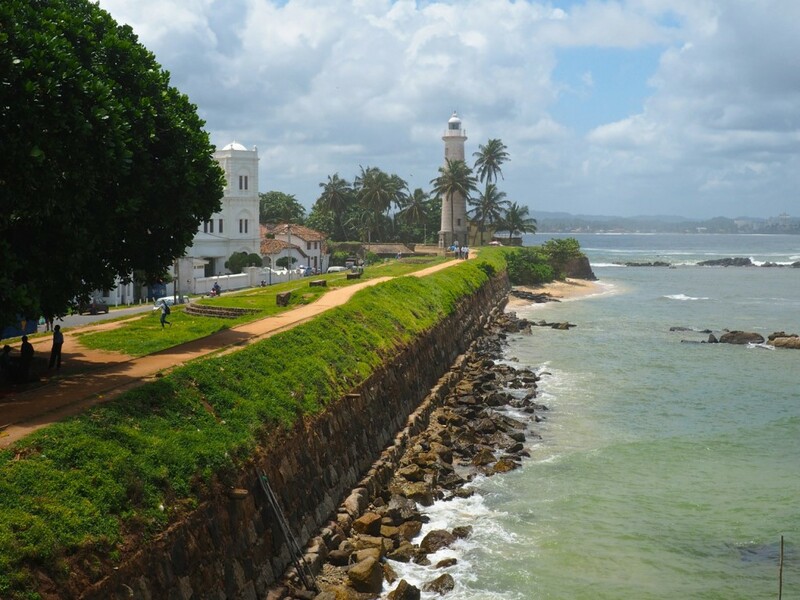 You can go whale watching, do a safari or visit the heritage city Galle which is also not far away. 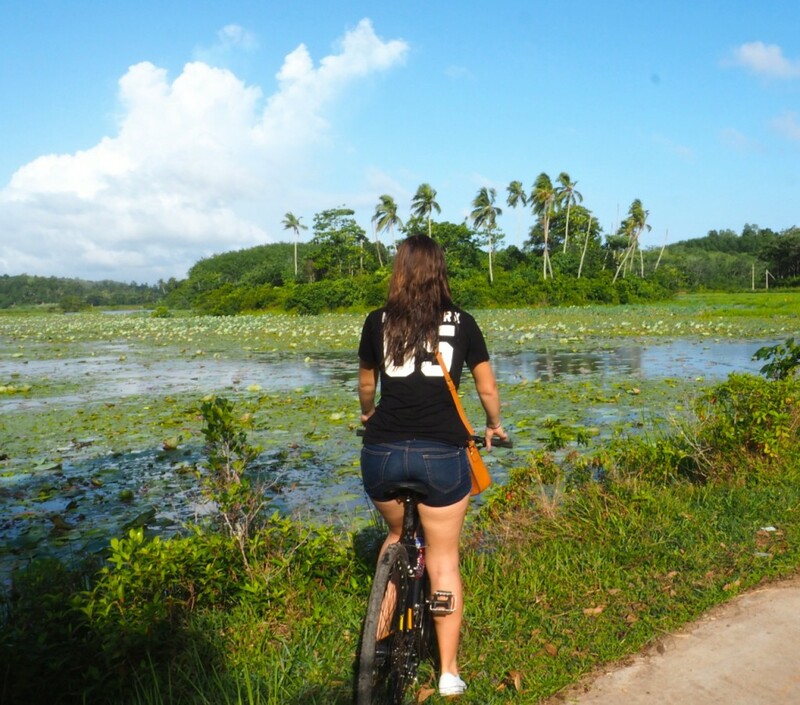 We opted for a guided bike tour of Weligama. Together with a local guide we cycled for a couple of hours past rice fields, lakes, villages and got greeted by the friendly people we past on the way. 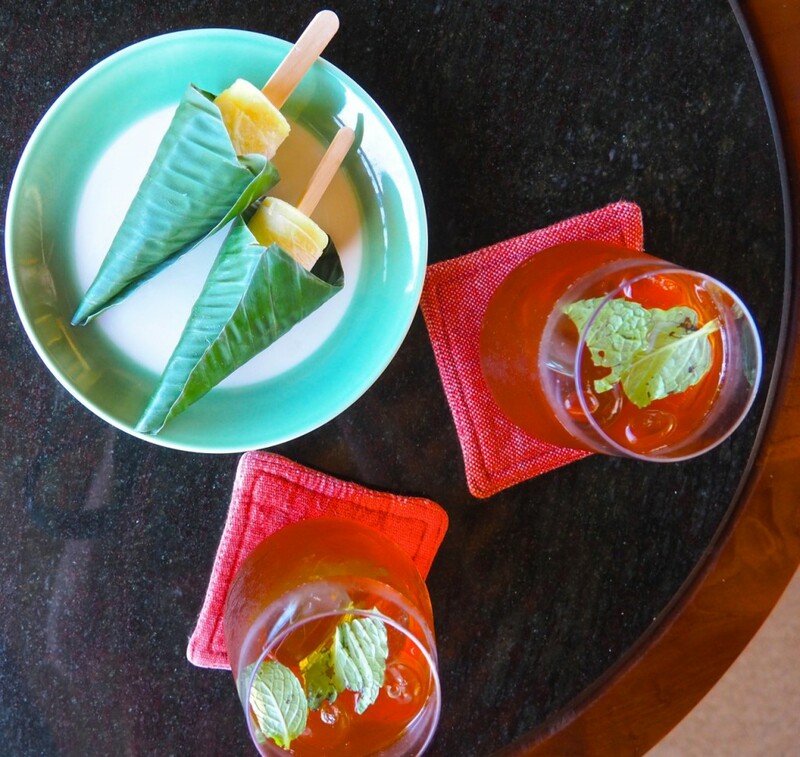 Resplendent Ceylon opened the fist bungalow tea resort, called the Ceylon Tea Trails. From the beach to the central highlands, what a change of scenery. 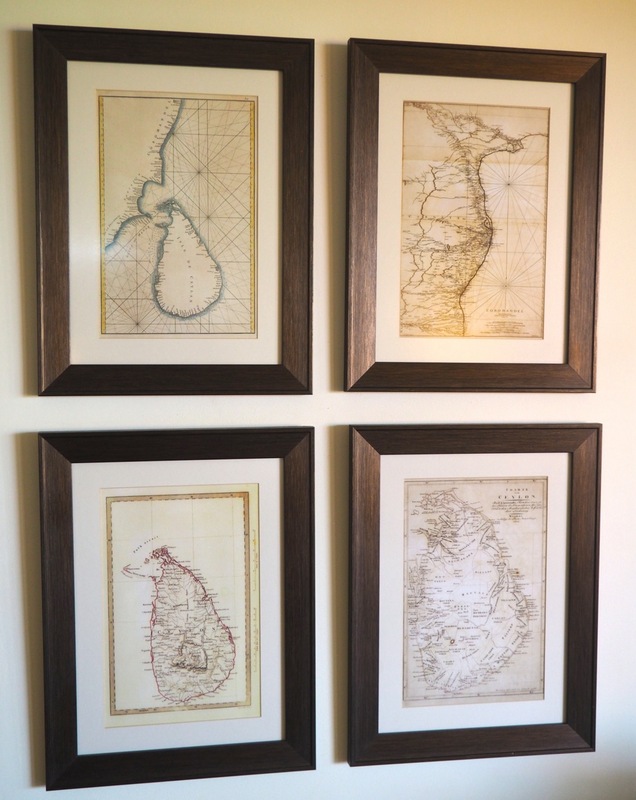 Here guests can enjoy a getaway to the famous Ceylon tea region and can enjoy a stay in one of their unique bungalows, enjoying the beauty of this regions, the views and of course the delicious tea. A gracious thank you to Cape Weligama for welcoming me to enjoy their property and the hospitality.